How do I Transfer Media between Groups? 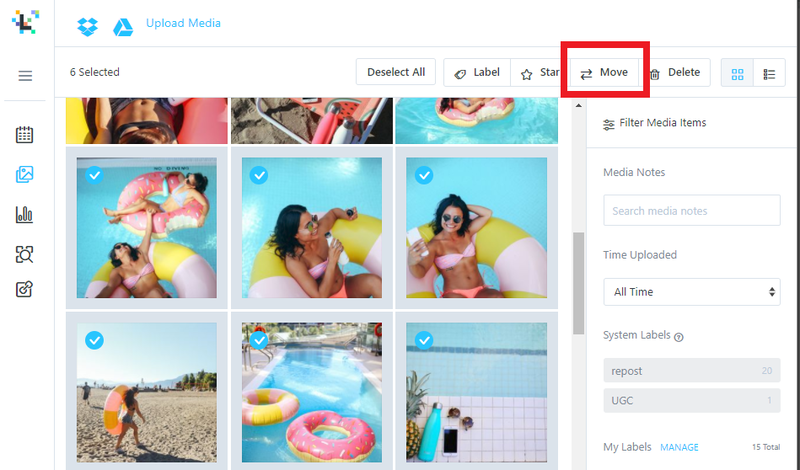 We’ve designed an efficient way for you to transfer media (photos & videos) between your Groups. That way you don’t have to upload your old media all over again. First, go to the Group that contains the media you wish to transfer. Go to the Group’s Media Library by clicking the Media Library Icon found on the left side menu. From the Media library, drag to select multiple media items or select one at a time. Next, click the Move button and select the Group you’d like to transfer media to and confirm.